Every day at the Food Bank of Central & Eastern North Carolina is a little different. We never know who will walk through our doors in need of food, education and community connections, or support with state and federal benefits. 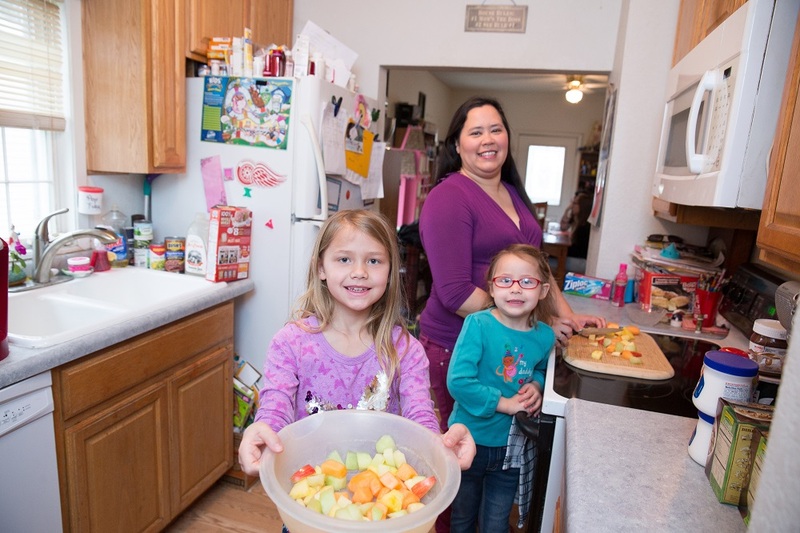 We recently heard from Laura, a single mom whose work hours had been cut, but her SNAP (Supplemental Nutrition Assistance Program) benefits hadn’t yet caught up to reflect that. She and her two little girls needed help, and thankfully we connected her quickly with one of our partner pantries to get food on the table that day. These kinds of pleas show the stressful situations neighbors like Laura would be in on a daily basis without SNAP. We do all we can at the Food Bank to distribute healthy, fresh, food through our network of partners to the 605,000 people facing hunger in our 34-county service area. SNAP helps meet the need among working families and individuals, and seniors in our community in a way we cannot alone. Due to incredible community support, we are able to provide more than 59 million meals each year in our 34-county service area. But that pales in comparison to the nutritious food provided through SNAP, which serves 12 meals for every one meal provided through the Feeding America network of food banks. Potential cuts to federal nutrition programs would have a devastating effect on food insecure individuals and families in our community. SNAP is a cornerstone nutrition program and we would not be able to make up for the lost meals that would result from these program changes. SNAP works by providing a helping hand with groceries when people need it most, and the average new household stays on SNAP for less than 2 years. SNAP helps families get through temporary tough times without falling so far behind they cannot recover. The program helps to lift people out of poverty, freeing up household income for things like continuing education, or transportation to get to better paying jobs. SNAP was smartly designed in bi-partisan fashion, to expand in times of economic hardship, and reduce in cost and size when Americans are doing well. The program itself has changed and adapted over the years, as has the face of hunger and the way communities work to end it. But the importance of SNAP remains the same. We cannot ensure no one goes hungry without protecting the vital benefits SNAP provides to North Carolinians. We see the importance of federal nutrition programs like SNAP when it comes to feeding North Carolinians facing hunger. The proposed FY18 budget would have serious implications for the Farm Bill- which funds federal nutrition programs. A Senate vote is expected the week of Oct. 16. Now is the time to reach out to all Senate offices to urge them to protect federal nutrition and other programs critical to our network and those we serve.